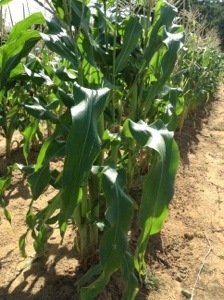 Corn gets a bad rap. It’s so extorted by the government, abused by the food industry, and completely misunderstood. When it’s non-engineered straight from the garden sweet summer goldenness — it can only be called yummy in my tummy. Mix. 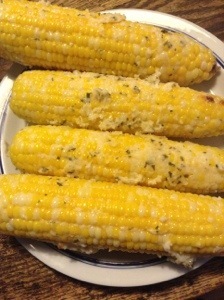 Slather on semi-cooled corn fresh from the grill. Grill the corn in the husks. Shuck. Slather. Devour. 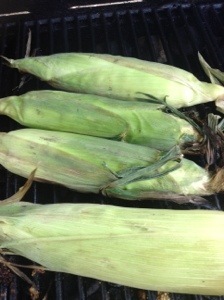 Soak the corn before placing it on the grill to avoid flaming corn husks. 20-30 minutes seems to be plenty long enough. 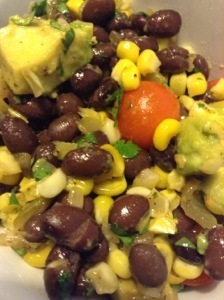 In a large bowl, add: cilantro, tomatoes, red onion, drained beans, and avocado – set aside. 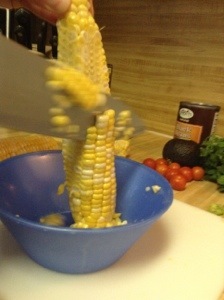 Just use a knife to remove the kernels from the cob. Using a bowl keeps it from going all over everywhere as you cut. 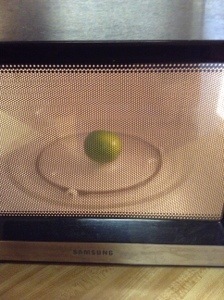 Zap your citrus in the microwave for about 10 seconds to enhance the amount of juice yielded. 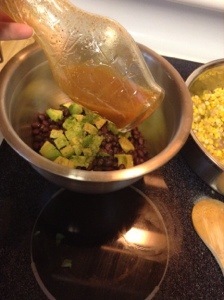 Dress with avocado & lime juice, seasoned with agave and chili powder. Enjoy! 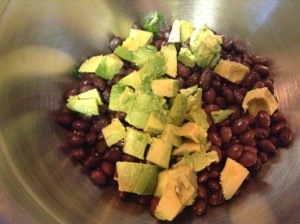 Healthy cholesterol lowering monounsaturated fat from the avocado, protein & fiber from the black beans, along with lycopene and vitamin C from the tomatoes. The taste gets a boost from the cilantro and lime. 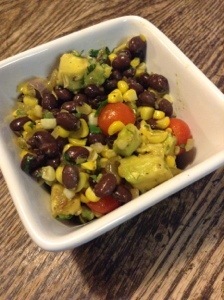 Relish in the fact that it is filling & hearty despite being vegetarian. 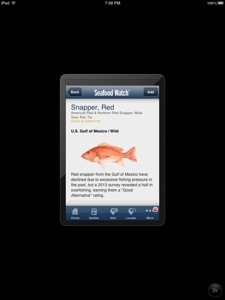 While you’re picking your corn buddy, check out the Seafood Watch app. It tells you which fish are sustainable, which are sea friendly, and which choices are not so great. 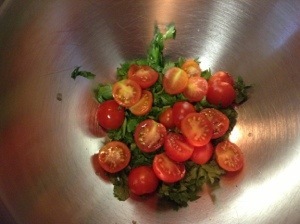 1 big handful cilantro, chopped. Sauté onion in olive oil until soft. 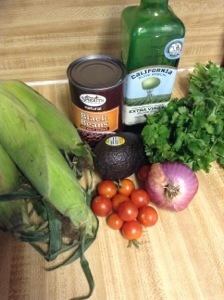 Add garlic, peppers, and corn; season to taste. Sauté until corn is done. 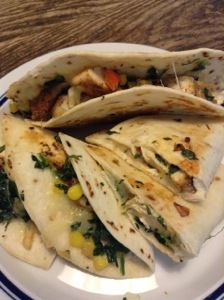 Add in cilantro and quest fresco. Serve warm. Melt: Melt butter over medium heat in a thick sauté pan. 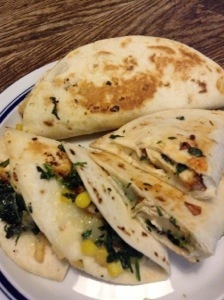 Heat a tortilla in butter, pile on toppings, fold over, and watch it become golden gooey goodness. « Check Out My Around Cowtown Page!